In 2013, the University of California, Santa Barbara partnered with the SPEED team on a small-scale pilot demonstration of 27 LED streetlights with network system controls and 10 LED post-top fixtures with local and network controls. The adaptive lighting operated for an average of 12 hours each night during monitoring. The retrofit to dimmable LED lighting reduced lighting energy use where implemented 78-88%. Using occupancy sensors and lighting controls, adaptive lighting automatically brightens when occupants approach and dims when spaces are vacant, reducing energy use without compromising safety. Network control systems make monitoring, adjusting and maintaining light fixtures easier. Simple payback provides a quick way to estimate the cost effectiveness of a given energy-efficiency improvement project. It is calculated by dividing the project cost by the annual cost savings achieved by the project. 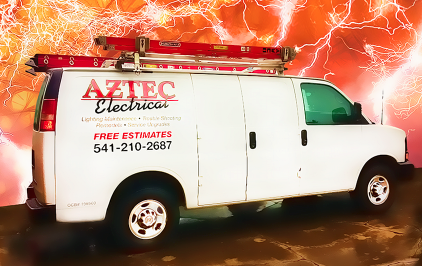 Aztec Electrical is a tade ally with the Energy Trust of Oregon and will design your lighting retrofit to receive the maximum rebates and incentives available. Read the study - click here.